This Bensenville, Illinois firm was formed in 1977 It was a marketing arrangement for Universal Toys (Products) in America. Products with the Kidco name on the base plate appeared with a copyright date of 1979 and were available until the early 1980s. A majority of these miniatures were already produced by Universal for several years. Conversion was relatively a simple task. Production occurred in Hong Kong and Macau by the Universal Group, a major diecast force owned by David Yeh, who subsequently acquired Matchbox. Although The Kidco vehicles were thusly identified, some were mounted on Dinky base plates when sold in Europe. Kidco "Tough Wheels" assortments were divided into separate groups and included American cars and trucks as well as some European examples. Not all models indentified Kidco on the base plate. Some only included "Made in Hong Kong", others added "Tough Wheels" or an encircled "U", a trademark logo representing Universal Products. Some also identified the square Universal logo. 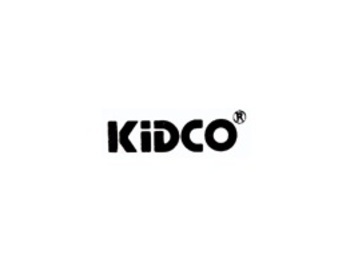 After the Matchbox purchase, Kidco products were marketed in Europe. This brand name remained in the early Universal Matchbox line with their "Burnin Key Cars" until the mid 1980s, after which this part of the Universal operation ceased. "Tough Wheels" also comprised of construction equipment vehicles (made previously by Universal and other diecast manufacturers), themed multi-packs, and movie related toys including "M*A*S*H", Magnum P.I., Knight Rider, etc. There was a series called "Bumper Blasters" which were cars that "explode" when the front bumper hits an obstacle. "Demolition Cars" as identified on the base plate also "exploded" with the use of a key. "Lock-Ups" were provided with a key. Finally, there was a series in a laser print package containing one model and two collecting cards portraying various vehicles.